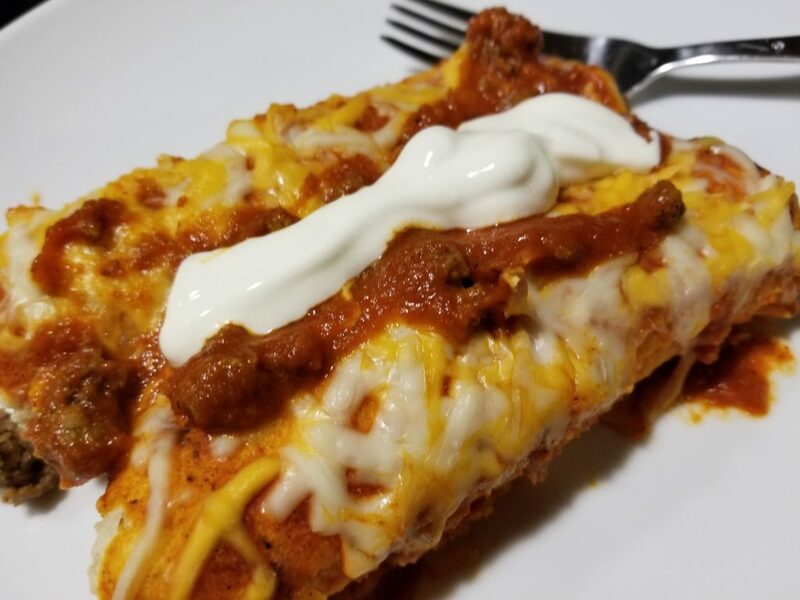 Kris and I were in Fort Dodge a couple weeks ago and had some beef enchiladas from Tres Amigos restaurant and they were mighty good. I was craving them here at home so made a batch of my own! Not too hard to make and so good! First I made the filling. 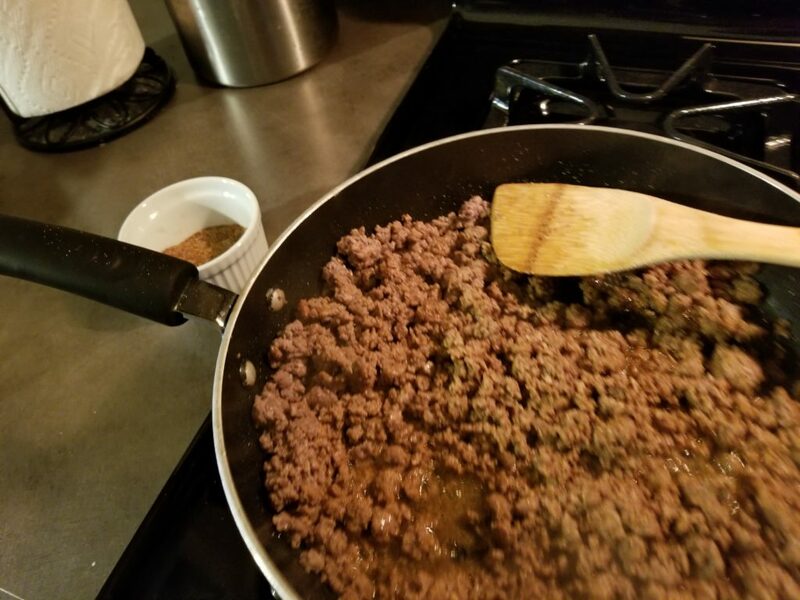 Browned a pound of ground beef and added some spices. I used chili powder, onion powder, cumin, salt and pepper. This sounded like the right blend for enchiladas. 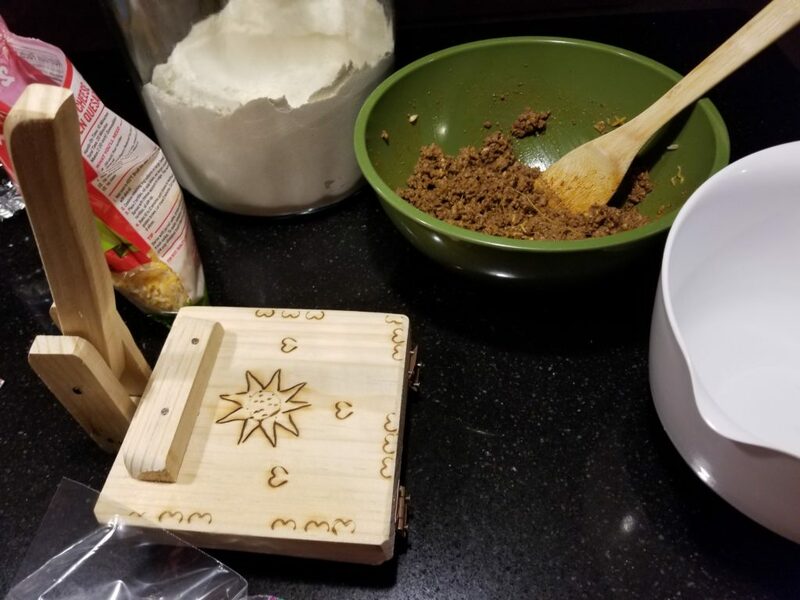 Once browned, put in a bowl to cool while making some tortillas. Time to gather up the tools! 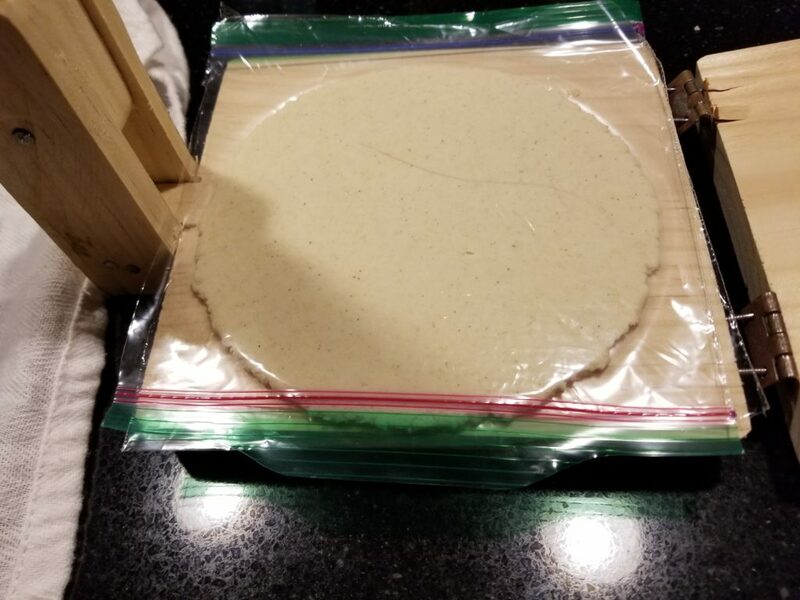 I am getting pretty good at making tortillas and can throw a batch together in about 15 minutes. Mix the masa with warm water and salt. 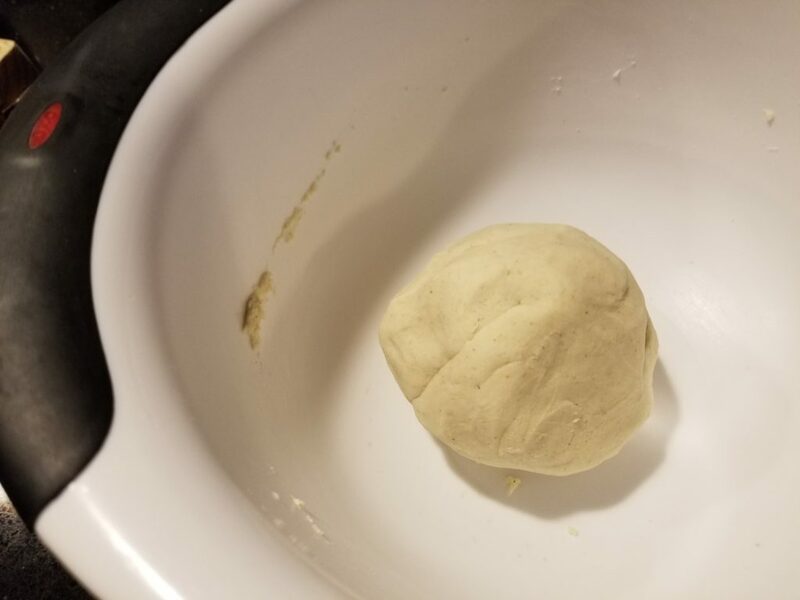 Knead this for a couple minutes until a nice dough forms. Now it is time to press them out. 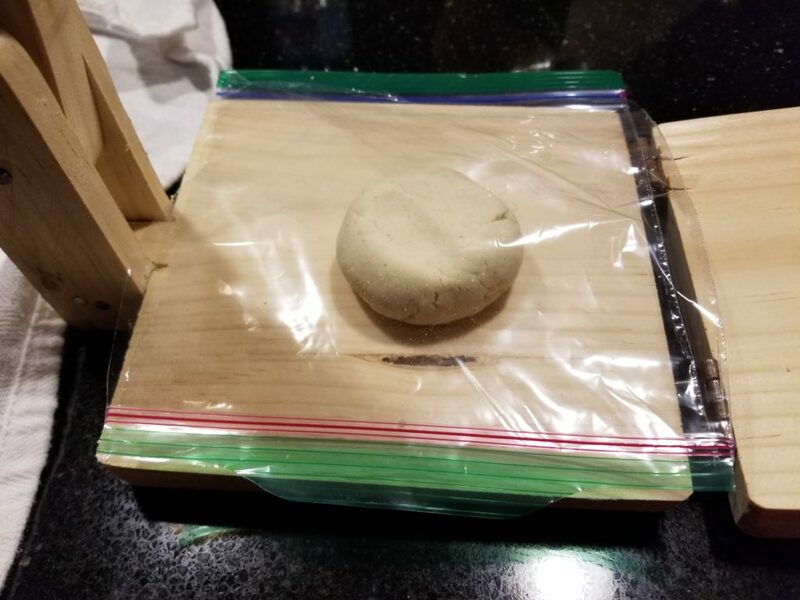 Lay half a sandwich baggie on the press, add some dough, top with the other baggie half and smash! This press makes perfect sized tortillas for the enchiladas. Repeat until you have used up the dough. 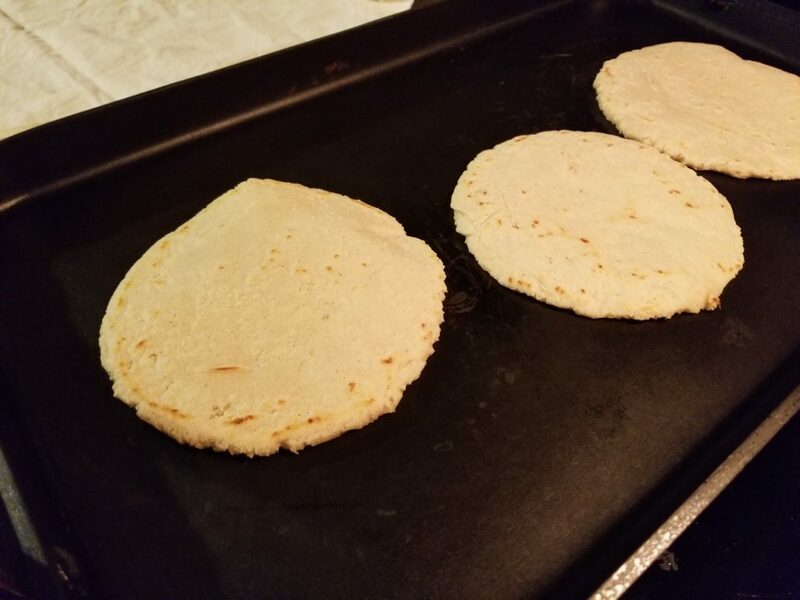 I have found that 1 cup of masa and 3/4 cup of water makes 6 nice tortillas. 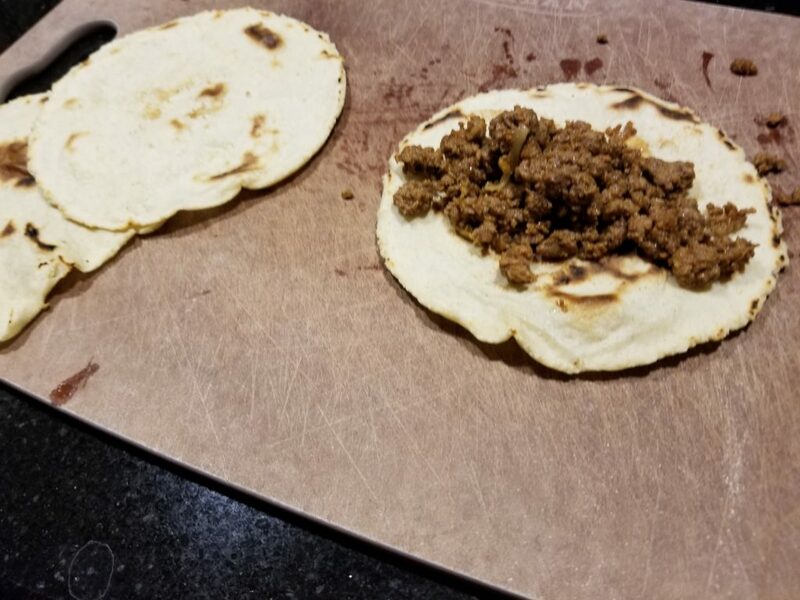 Place the tortillas on a HOT skillet and cook for 1-2 minutes per side. As the pan gathers more heat, 1 minute per side is enough. 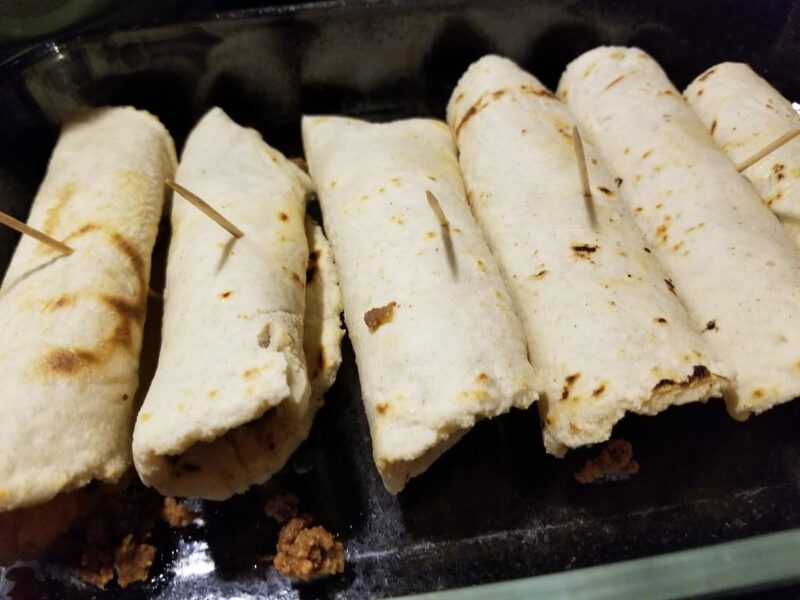 The tortillas are done once you see some charring. Place on a towel and cover while you make the rest of them. Time to fill them up. Place some of the cooled beef on the tortilla and wrap up tightly. I secure them with a toothpick to keep them rolled. Place in a baking dish. Line’em up in the baking dish. You can see the toothpicks keep them from unraveling and also helps keep the filling inside. 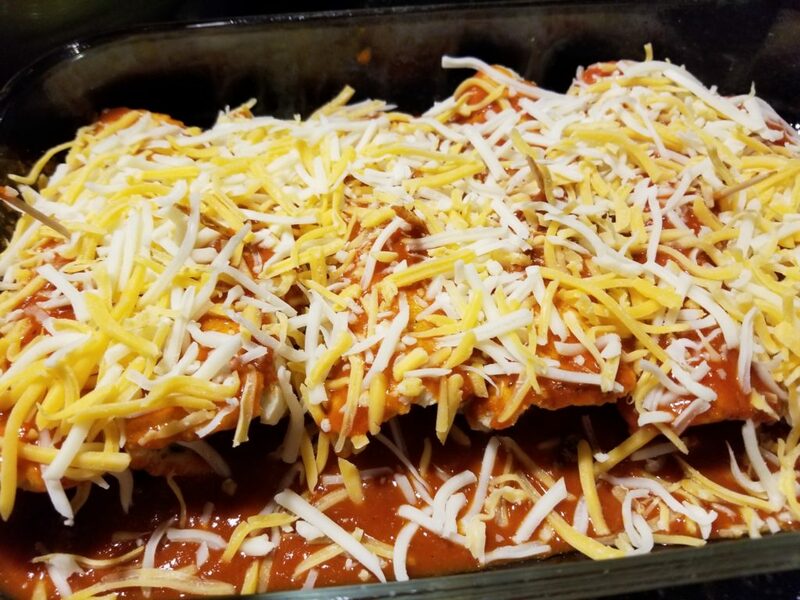 Top with enchilada sauce of your choice. I used red sauce for these but am sure green would be just as good. Bake at 350 degrees until the cheese is melted. Remove the toothpicks, toss on a plate and you are ready to eat. Top with sour cream if you like. That is it! 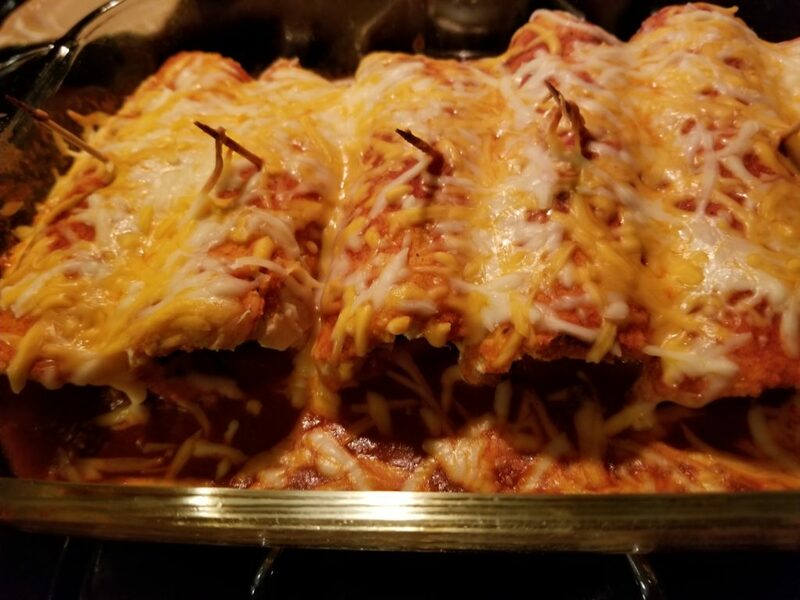 Now you have some homemade enchiladas that are as good as any restaurant!